Another wet weekend. So what else is new. Did you ever notice that it rains more on weekend, then during the work week. If you are retire like me, then it doesn’t matter. But for my wife who isn’t retire, then you are waiting for the weekend to go sailing, or to take a romance walk on the beach, or to go for a nice motorcycle ride on the back roads of Eastern North Carolina. It was another rainy weekend in Eastern North Carolina, but that didn’t stop us. Friday night we walked around downtown New Bern for their monthly Art walk. Saturday, we took a drove to Oriental for their annual boat show. 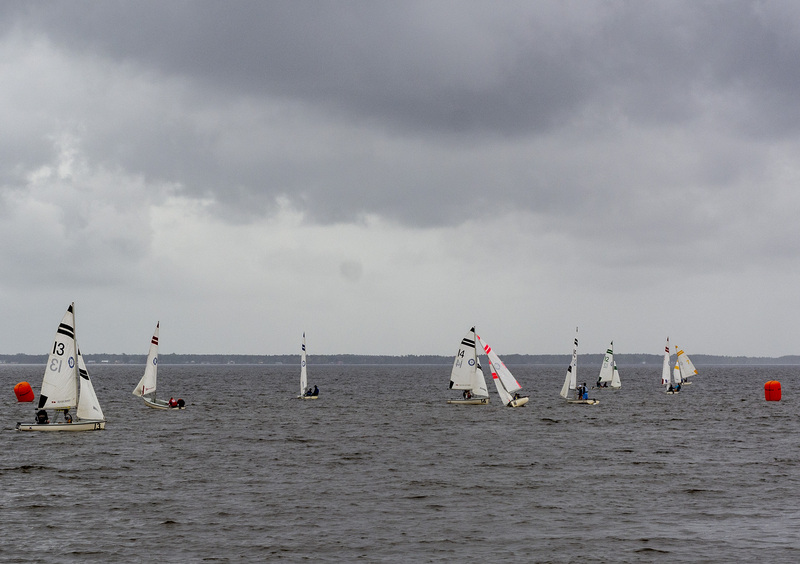 There was also the North Carolina State Sailpack Regatta in town. 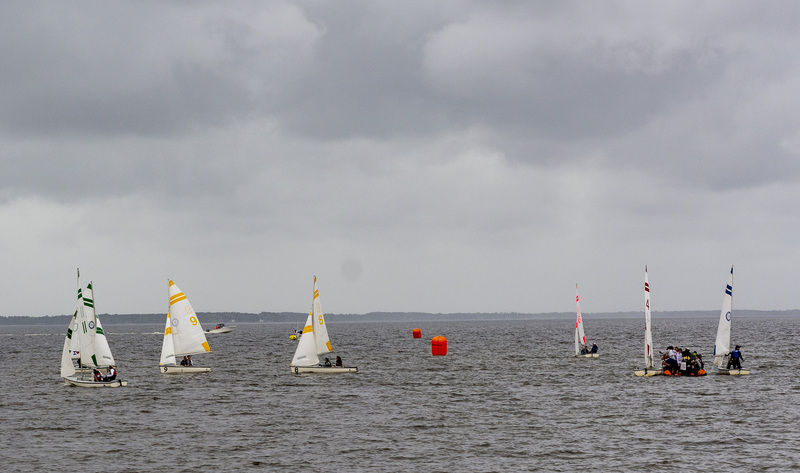 Eighteen teams are competing in the Sailpack Regatta. After Saturday’s sailing Jacksonville University is in 1st, NC State 2nd, and Clemson 3rd. I love taking pictures of Coast Guard vessels, maybe it was because I served in the United States Coast Guard between 1975 to 1985. I was boat coxswain in Coast Guard, and I never captain the 45Ft. When I was in the Coast Guard, at the small boat station in Portsmouth Harbour, New Hampshire and at Cape Cod Canal Station in Sandwich Massachusetts, we had the 41FT and my favorite 44FT. The 45FT RB-M is designed for multiple missions, including search and rescue, was introduced to the fleet in 2015. The Coast Guard 44 FT Motor Life Boat were designed by the US Coast Guard and built in the Coast Guard Yard in Baltimore, MD. They are virtually unsinkable, needing to have the 9 water-tight compartments filled with water before they will go under. The 44 FT were designed to operate up to 50 miles offshore in 30 foot waves and 20 foot breaking surf close into shore. They have room for 21 survivors below decks and have approximately a 250 nautical mile cruising range. Since the boat was designed to tow up to 125 tons, she may assist much larger vessels to reach safety. I didn’t take that many shots of the Sailpack Regatta.